Amazon Smile - Support SHARK! Yesterday we went public with our video of a horse who was killed at the Cowtown Rodeo, located in Pilesgrove, NJ. A SHARK investigator was on-site and filmed what happened. You can read the update we sent out yesterday HERE. There has been a great deal of media coverage of Night Watch's death. You can view those stories on the following links. We are expecting more coverage. You will be able to see anything that comes up after we release this update on our Facebook page and Twitter. Two notes about comments made by Cowtown regarding this story. They refer to Night Watch as "Z13," most likely in an attempt to portray her as a piece of property and not a living animal. However, as she was in the stall a short time before she would be killed, they publicly announced her name as being "Night Watch." Cowtown also doesn't like the fact that we have exposed they sent 9 horses to auction, who were then sold to slaughter. 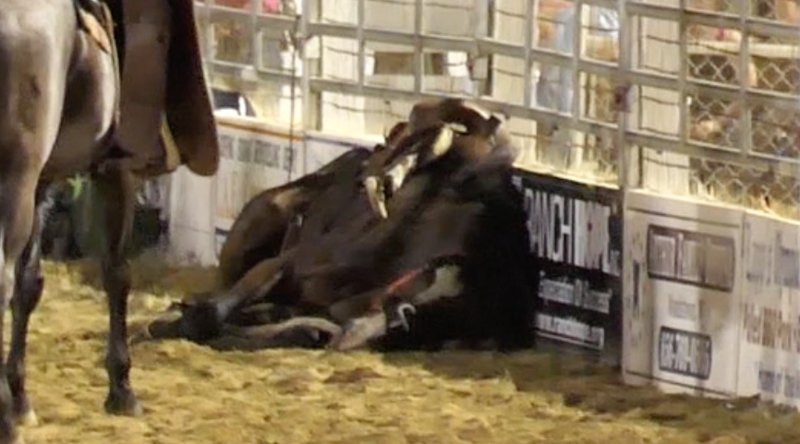 Please watch the video we released called "Cowtown Rodeo Horses Sent to Slaughter," for the evidence of what happened to the horses Cowtown betrayed. 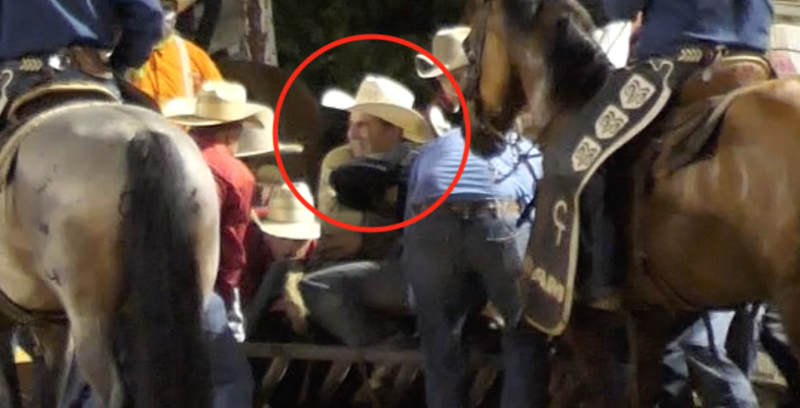 And if you think the rodeo thugs present were heartbroken over the death of Night Watch, just look at the smile on this guy's face as he held her down as she was dying. 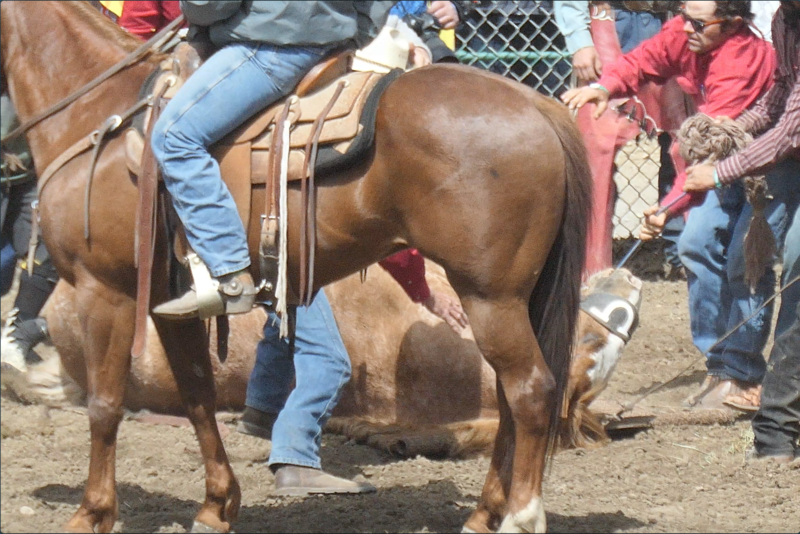 We also want to remember a horse named Savina, who was killed at the Rowell Ranch Rodeo in California, was killed after suffering a shoulder injury. You can read more about her story in our previous update. Read more and get up-to-date information on our social media. Your donations are always greatly needed and appreciated. You can be assured that every dollar you donate goes toward SHARK's work to defend animals and investigate and expose cruelty.